Integers can be either positive or negative. 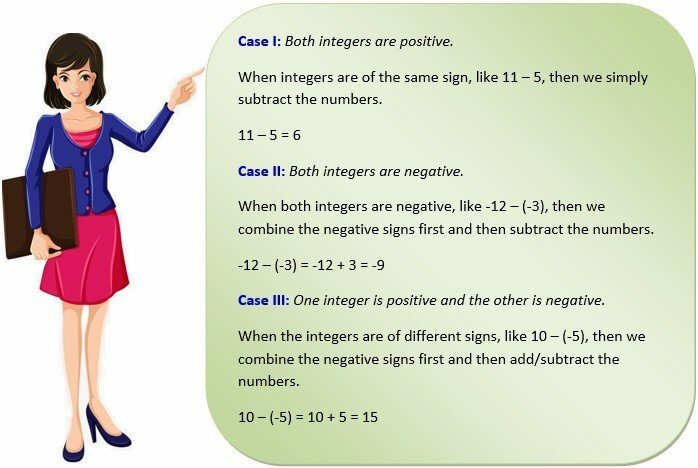 Integers which do not have sign before them are positive numbers, like 3, 5, 6, and 8 are all positive integers. On the other hand, integers like -3, -10, -7, and -15 are all negative integers. Now we’ll see how to add and subtract integers. What are the rules for adding integers? What is the meaning of subtraction of integers?